It’s that time of year again. The leaves are changing color, the air is getting crisper, and all food products are starting to taste suspiciously like pumpkin or apple. This is the perfect recipe for jumping on the autumnal bandwagon. Keep in mind that donuts are not for the faint of heart. But they are worth it none the less. Set aside an afternoon, muster up a little patience and a spirit of adventure and set forth into your kitchen. When you bite into the piping hot, cozy doughiness of a fresh apple cider donut you sure will be glad you did. 1. 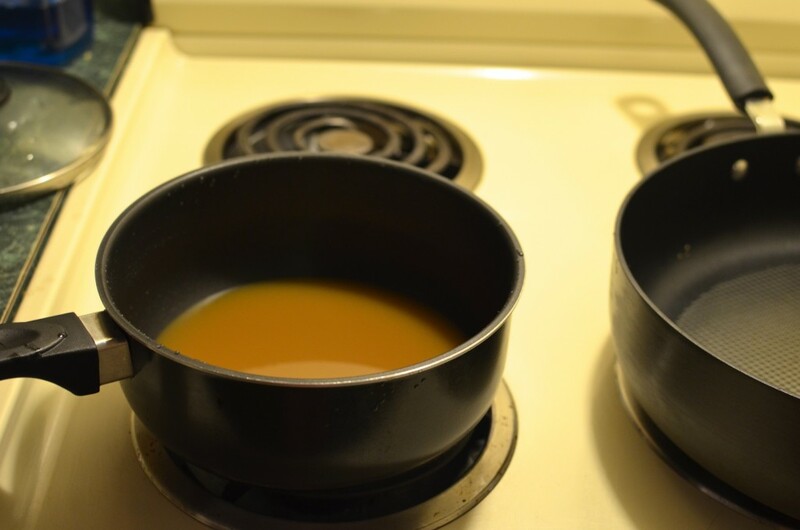 Heat the apple cider in a small saucepan over medium heat. Let it simmer for 25 minutes, uncovered. 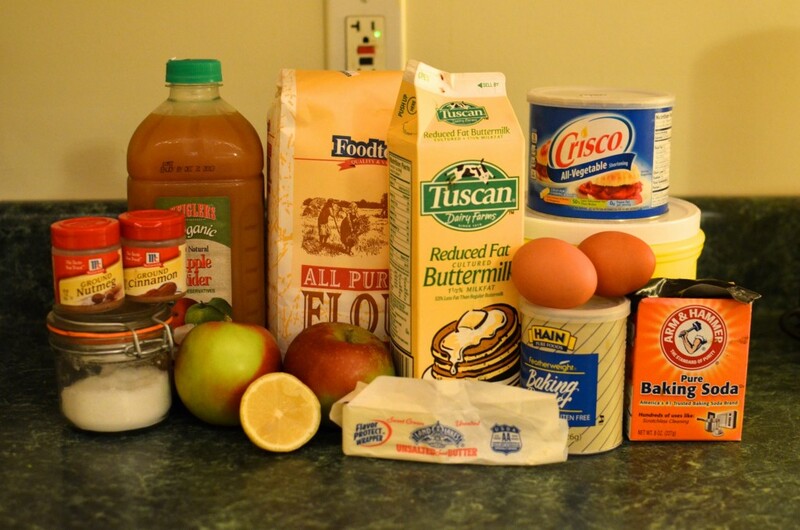 After 15 minutes, add the chopped apples. Let them stew in the cider, becoming soft and browned. Let the mixture cool before using. 2. 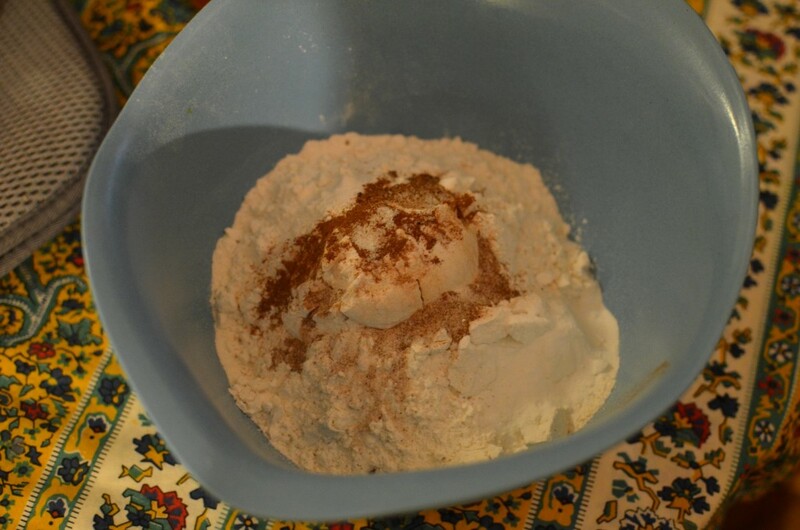 In a small bowl mix together the flour, baking soda, baking powder, cinnamon, nutmeg, and salt. 3. 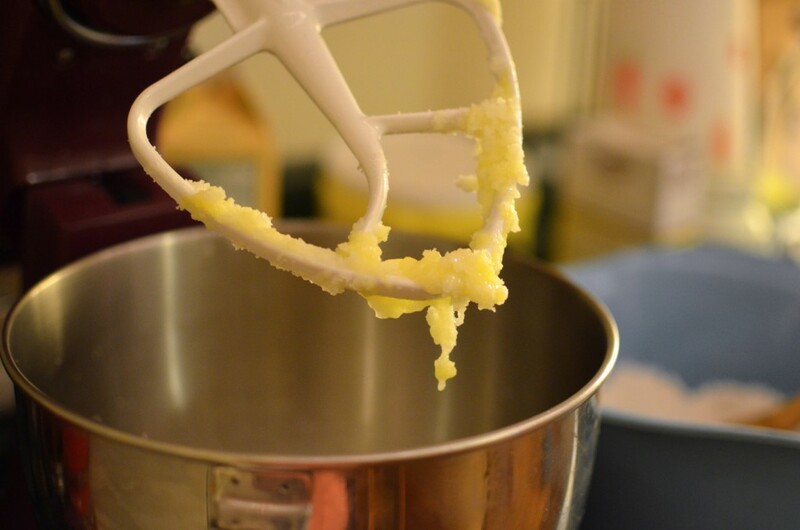 Now in a separate bowl, beat the butter and sugar together with an electric mixer (or the paddle attachment of a stand mixer). 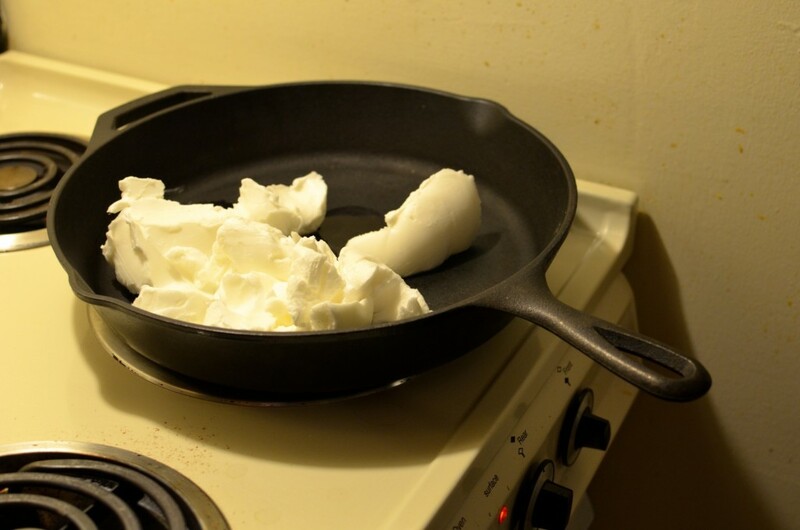 Add the eggs one by one and beat until smooth. 4. 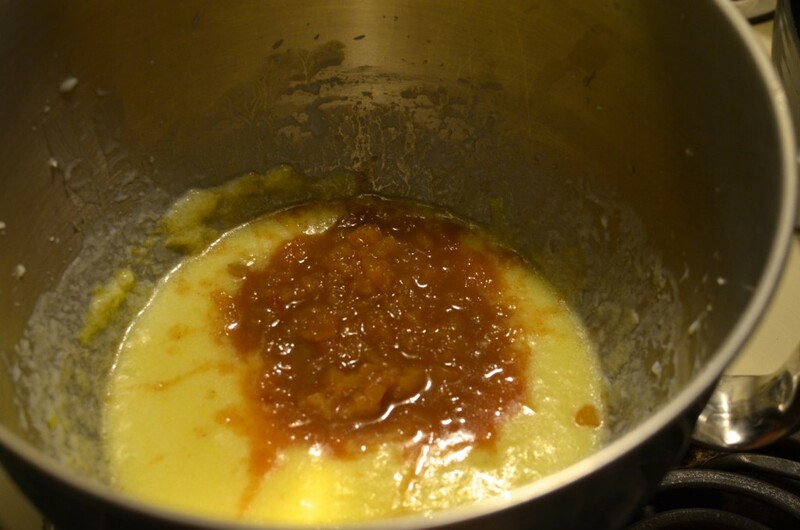 Stir in the apple cider mixture and buttermilk. 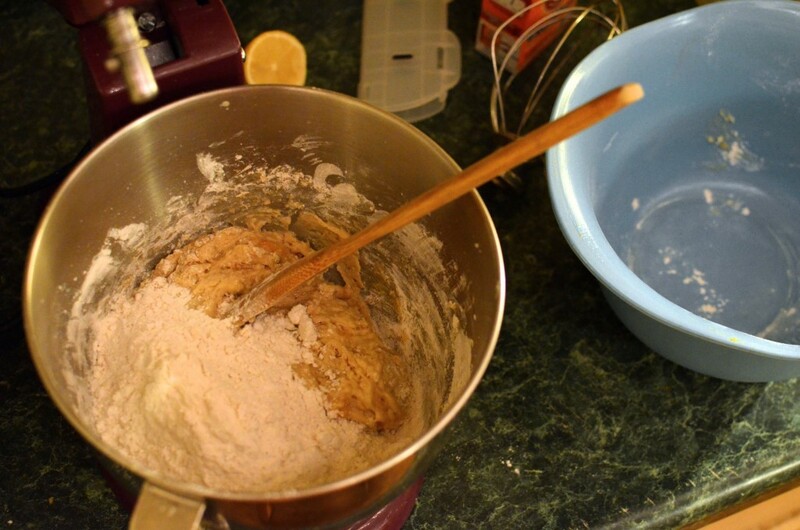 When it’s well combined, stir in the flour until the dough just comes together. 5. Line a baking sheet with parchment paper. 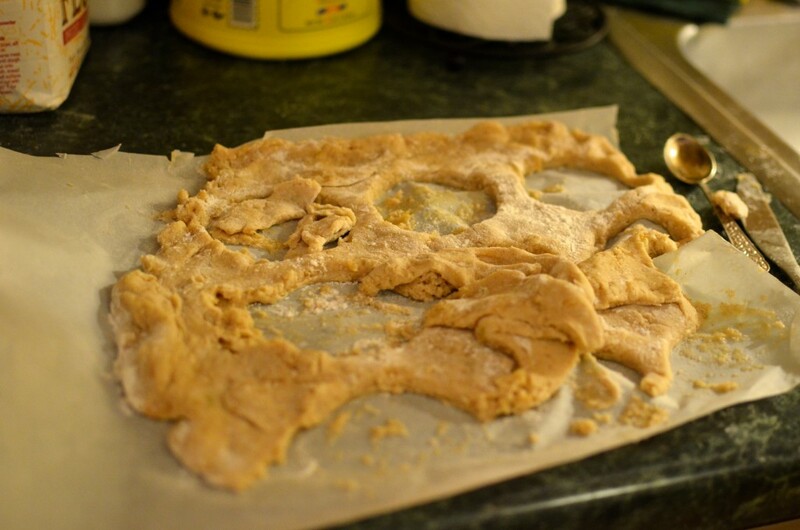 Turn the dough out onto the baking sheet, sprinkling generously with flour. Using your hands, flatten it on the sheet until it is about 1/2 inch thick. If your dough is obnoxiously sticking to your hands, don’t lose hope. 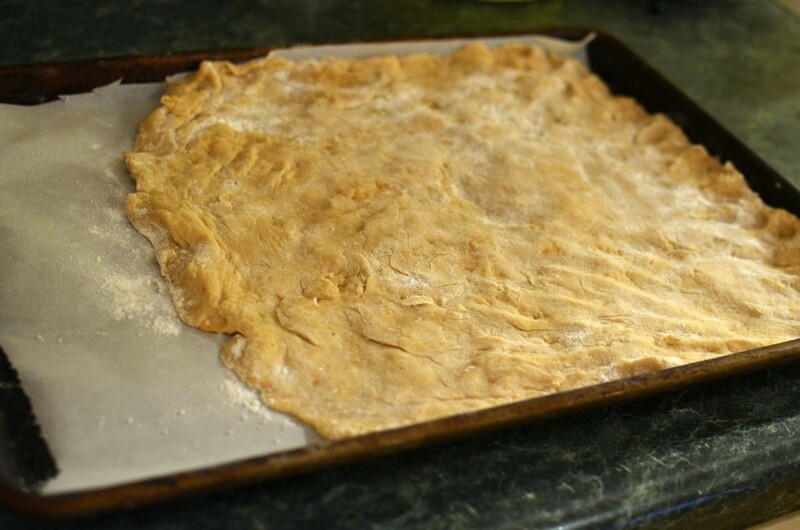 Continuously add more flour to the dough as you flatten. 6. 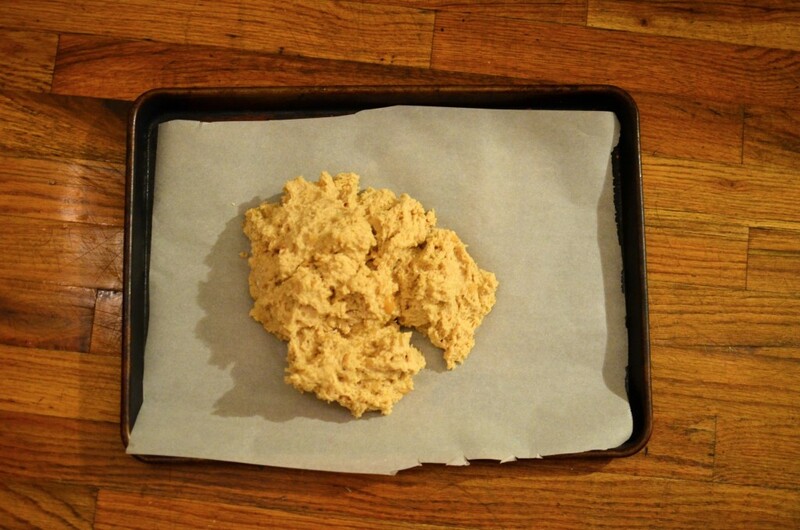 Put the dough in the freezer to chill for 20 minutes. 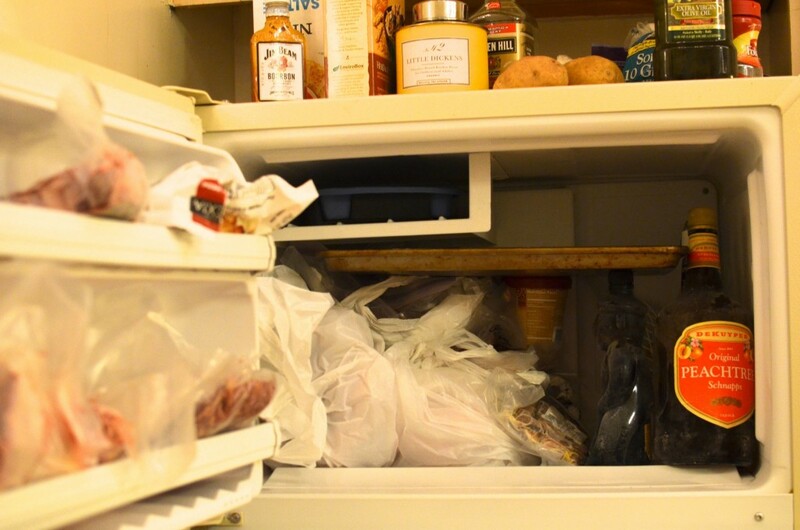 We understand that many of us have tiny freezers and this will be difficult. Persevere on. 7. After the dough chills, it’s time to shape the doughnuts. 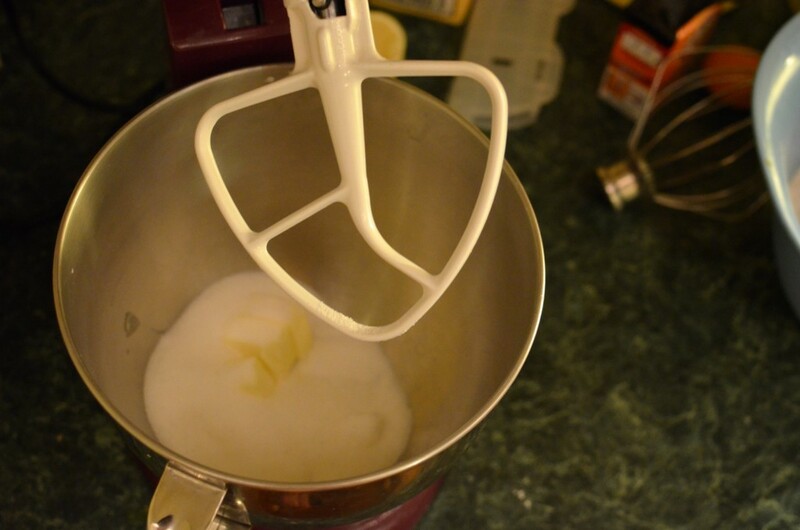 The easiest way to do this is to use a cup as you would a cookie cutter. A 3 inch diameter glass works well. 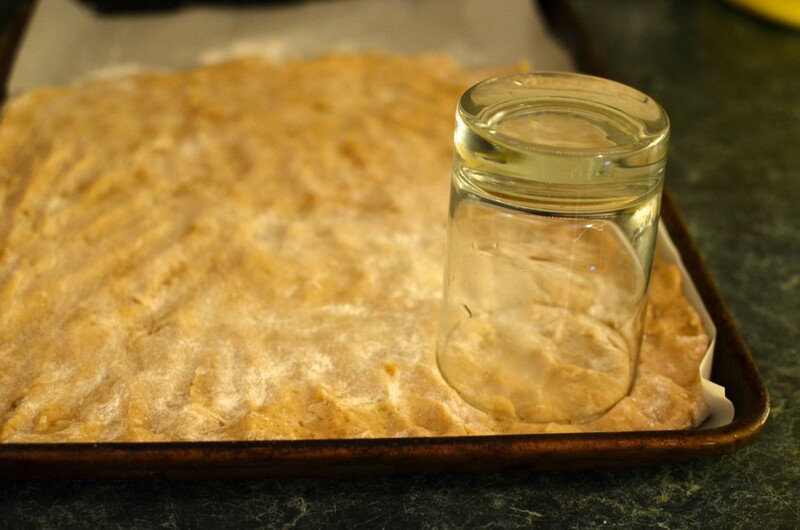 Transfer your rounds to a new baking sheet with parchment paper. Use a knife to cut out small holes in the middle. 8. At the end of this process you will be left with scraps from the cutting process and the doughnut holes. 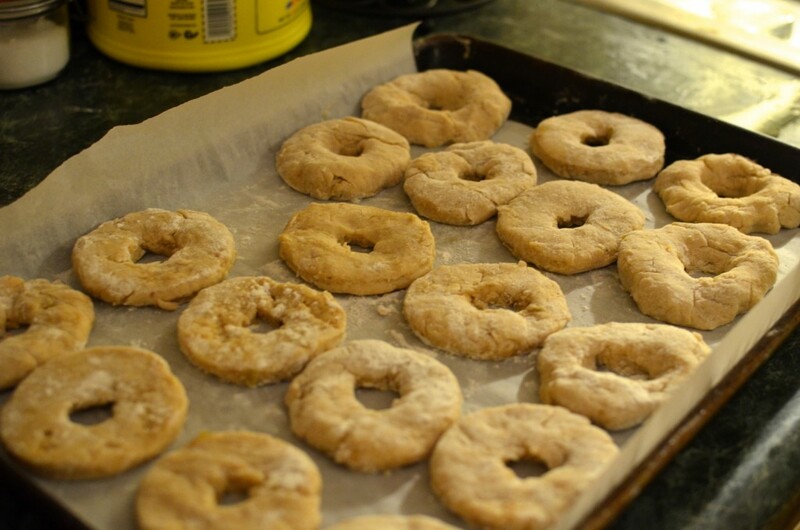 Re-flatten these (working with flour as needed) and shape them into donuts as well. Refrigerate all shaped doughnuts for 30 minutes. 9. 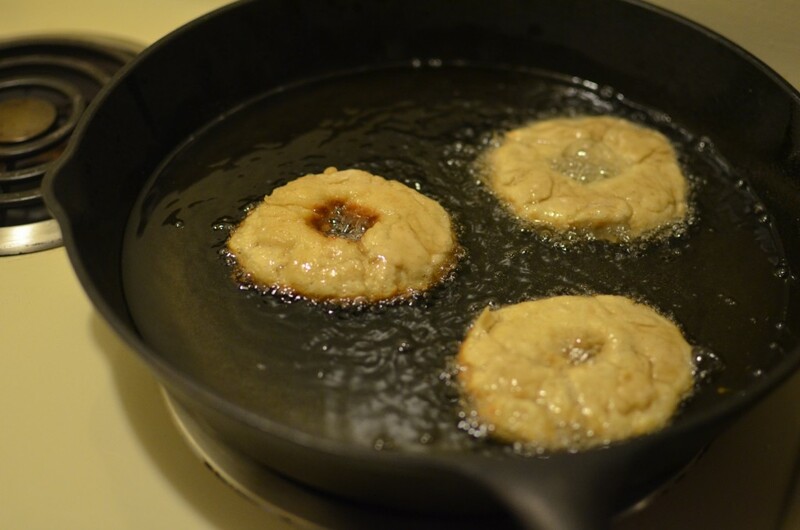 Now you are ready to fry your donuts. This is the fun part, where you get to feel like a cooking wizard. It is best to use vegetable shortening for this, as it will produce less oily end products, but feel free to substitute with vegetable oil. Heat the oil in a deep sided pan until it measures about 350 degrees on a candy thermometer. If you don’t have a thermometer, no worries. Stick the end of a wooden spoon into your oil. If bubbles start to form around the wood and float up, your oil is hot enough. 10. 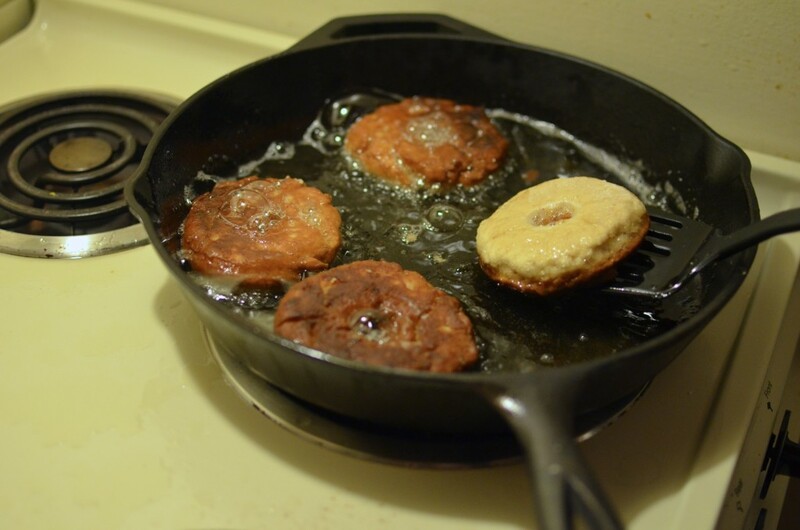 Use a spatula to slide the donuts 3 at a time into the hot oil. Fry for about one minute on the first side, until golden brown. Fry for 30 seconds-1 minute on the second side. Remove doughnuts with the spatula and transfer to a plate covered with paper towels. 11. In a small bowl mix together equal parts cinnamon and sugar. 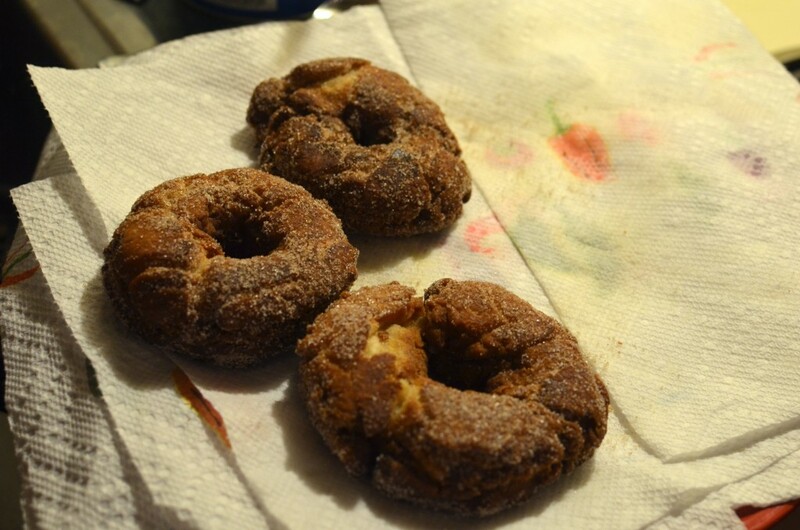 Let the donuts cool for a minute or two before rolling, while still hot, in your cinnamon-sugar mix. 12. Eat these donuts fresh. And eat many of them. Happy Fall!